On an ordinary late summer day in July, Maria was poolside, looking in on her sister Joanna’s two dogs at their beautiful home on Long Island, NY. Joanna and her family were out attending a funeral. 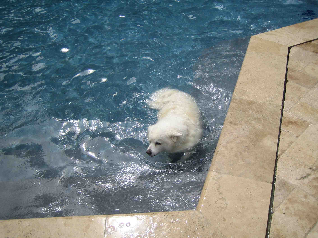 As was her routine, and greatest joy, Nikki, the seven-year-old American Eskimo, stood at the end of the pool and performed her trick of standing on hind legs and pumping her front legs in the air a few times before taking a joyous leap into the pool. Nikki then commenced a lap around poolside for another little performance, when Maria noticed she suddenly looked as though she were choking. Her left fore leg crumpled out from under her, and she slid into the pool. She sank under water and Maria leapt in to rescue her. Nikki was completely limp, and her tongue, lolling out of the side of her mouth, was turning progressively more blue – even a purplish hue. Maria was fearful that she had caused her sister’s dog harm. She couldn’t contain herself from screaming the dog’s name to somehow keep her alert, and she had trouble holding back her rising hysteria. Contributing to the surreal atmosphere, the other dog, a golden retriever, thought Maria was playing, so dashed back and forth playfully during the height of the crisis. Maria, being trained in CPR for humans, adapted her knowledge to perform CPR on Nikki, and improvised ‘mouth to snout’ resuscitation. While the dog became more conscious, her eyes still had a very blank look. Maria bolted to her car with the animal, sopping wet swimsuit and all, and got on the road. She phoned a family friend, Diana, who managed to convey to a very agitated Maria where the nearest vet’s office was located, but, unfortunately, she responded by taking the wrong direction. Flying by a nearby police station at nearly 85mph, Maria got her directions sorted out and brought Nikki in to Ellen Leonhardt, ironically Nikki’s regular vet (at Animal General in Syosset)! Just then, Maria’s sister phoned and, through tears, she struggled to tell her what had happened. The doctor gave her all the details, and Joanna rushed over. 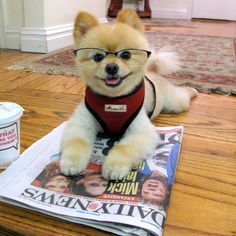 Within 30 minutes of the incident, Nikki was transferred to The Center for Specialized Veterinary Care in Westbury, NY. They learned that Nikki had incurred a ruptured disk at the base of the brain and may be able to walk, with treatment, in 6 months. Nikki’s play habit of leaping into the pool had likely been contributing to the condition of her disk for some time. But, had Maria not been the caretaker of the dogs at that moment, with her knowledge of CPR, they might never have known of the spinal injury, would have lost Nikki, and thought it an accidental drowning. Another twist of luck was Maria’s knowledge of the placement of the internal organs of cats, which she assumed would be comparable to that of dogs, such that her application of CPR was effective as well. She spent time in a raised baby crib to allow them to easily turn her from side to side while she was paralyzed. Her treatment, including hyperbaric chamber, swimming physical therapy with Diana, (in photo below, in the pool with Nikki) and her determined spirit got her up and walking within 3 months, although she tired easily and could only maintain this for a short time before keeling over. But, to the surprise and delight of her doctor and owners, she continues to recover and gain strength. Regrettably, an unfortunate outcome of the event was that the dog is now fearful of Maria, her lifesaver, and avoids her when she visits!